The projected human population growth of 9 billion by the year 2050 has placed greater demand on food security. This calls for an increased supply of foods, especially of animal origin in order to prevent food scarcity in the future. Poultry which would have been a solution to this increased demand for foods of animal origin had suffered from the rising costs of conventional feed ingredients, and this emphasizes the interest to develop local feedstuffs. In view of this, there is increased interest by livestock farmers especially in developing countries to harness the potential of leaf and seeds of tropical browse plants. Data abound that leaf and seed meal of tropical plants are rich in beneficial nutrients and phytochemicals. 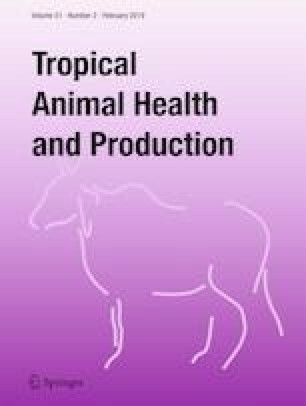 From previous studies, it can be deduced that leaf and seed meal of tropical browse plants improve chicken performance, but their use in animal feed has been limited owing to constraints imposed by antinutrient factors (ANFs). In this review, the biochemistry of leaf and seed meal of tropical plants, mechanism of actions, methodologies for detoxifying their ANFs, and their effect on chicken reproduction is discussed. The authors are grateful to their colleagues for their technical support. Jiwuba, P. C., Ahamefule. F. O., Ogbuewu, I. P. and Ikwunze, K. 2017. Blood chemistry and haematology of West African Dwarf Goats fed Moringa oleifera leaf meal (MOLM) in their diet. Comparative Clinical Pathology, pp. 1–5. https://doi.org/10.1007/s00580-017-2434-2.